Jean-Jacques Lagrenée, aka Lagrenée the Younger, was a French Neoclassical history painter and engraver, and younger brother of the successful artist, Louis Jean François Lagrenée, with whom he trained. After the younger Lagrenée failed at the Prix de Rome in 1760, he followed his older brother to St Petersburg, Russia, where the elder had been appointed director of the Academy. The two brothers returned to Paris in 1762, and in 1763, Jean-Jaques moved to Italy to attend the French Academy in Rome. For five years, between 1763 and 1768, Jean-Jacques Lagrenée immersed himself in the French Academy and was strongly influenced by the emerging Neoclassical art movement. Back in Paris by 1769, he exhibited frequently at the Salon, showing both paintings and drawings. 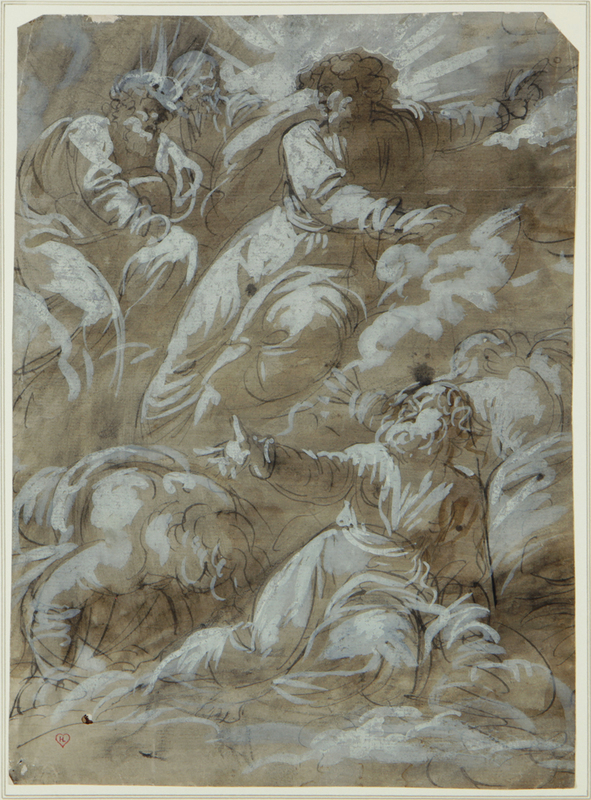 His drawings were highly-coveted by eighteenth-century collectors. Jean-Jacques Lagrenée became an Associate of the French Academy in 1769, and a full Academician in 1775; his reception piece was Winter, a ceiling for Apollo’s Gallery in the Louvre. It was a great honor to be selected to aid in the decoration of Louvre ceiling. In 1776, Jean-Jacques Lagrenée was appointed Adjunct-Professor and made a Full-Professor in 1781. Between 1785 and 1800, he ruled the artistic department of the powerful Manufacture de Sèvres and designed many neoclassical objects (furniture and dishes). A process for producing designs in marble is credited to Jean-Jacques Lagrenée.